It was during my travel back from Finland. I had an Indian doctor as my neighbor in flight. As usual we started talking about India, politicians and travel. Then later we realized both of us are from Bangalore and we both are Kannadigas but chatting in English. Then we continued our conversations in Kannada about castles & forts in Scotland etc. That is when he told me “namma chitradurgada kote munde avenu illa biDi” roughly translates too “The castles or forts of Scotland are nothing in front of Fort of Chitradurga“. That is when I got really curious about the fort. Until then I had heard about it from the Film Nagarahavu and from the legendary story of Onake Obavva. In the picture above you can see one of the mega entrances to the fort. There are five walls visible today. Each wall has a mega gate. This is one of them. 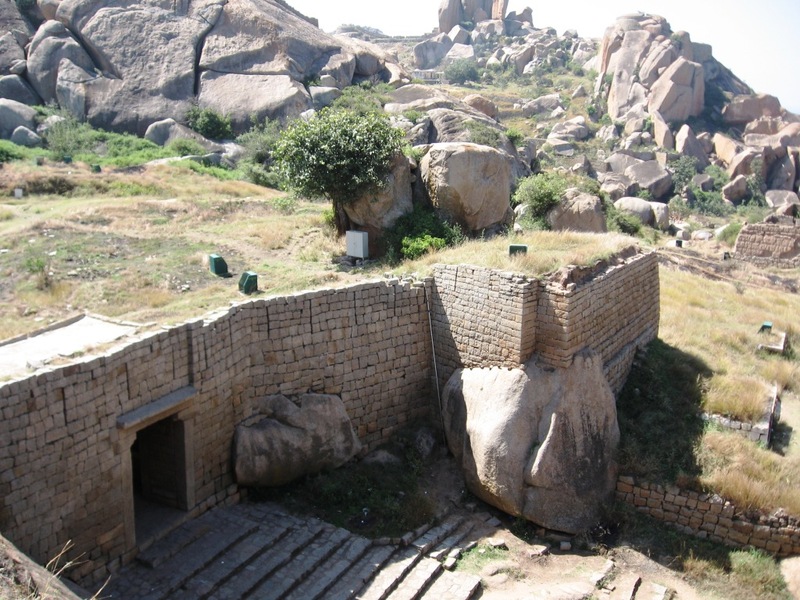 two other fort walls are lost inside the new Chitradurga city. 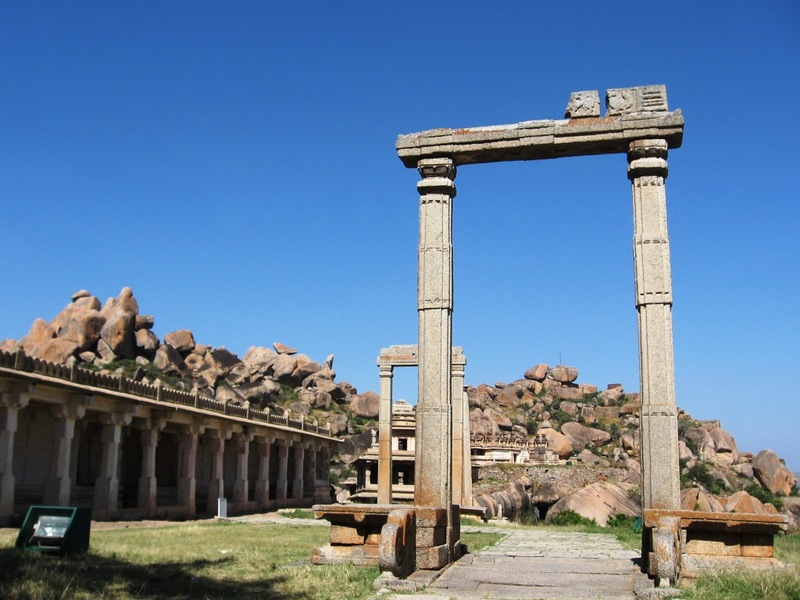 This time when we started planning our North Karnataka trip I made sure to Include Chitradurga. I have not been to Scotland but this for is just breath taking. I have not seen any other fort as defensive as this. 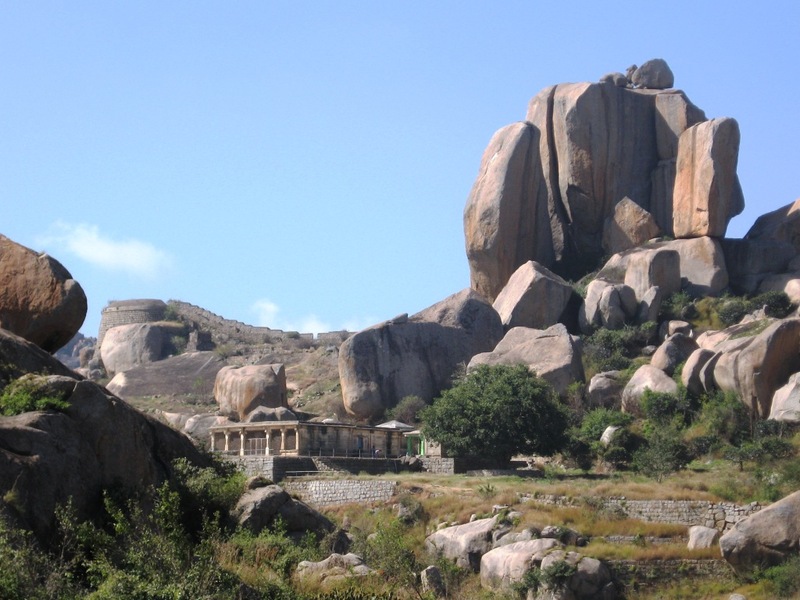 Chitradurga Fort is also called as Kallina Kote (stone fort), Ukinna kote (fort of steel), Yelu Suttina kote (Fort of seven walls). It has 19 gateways, 38 posterior entrances, a palace, many temples, a maTa, a mosque, granaries, oil pits, four secret entrances and water tanks. 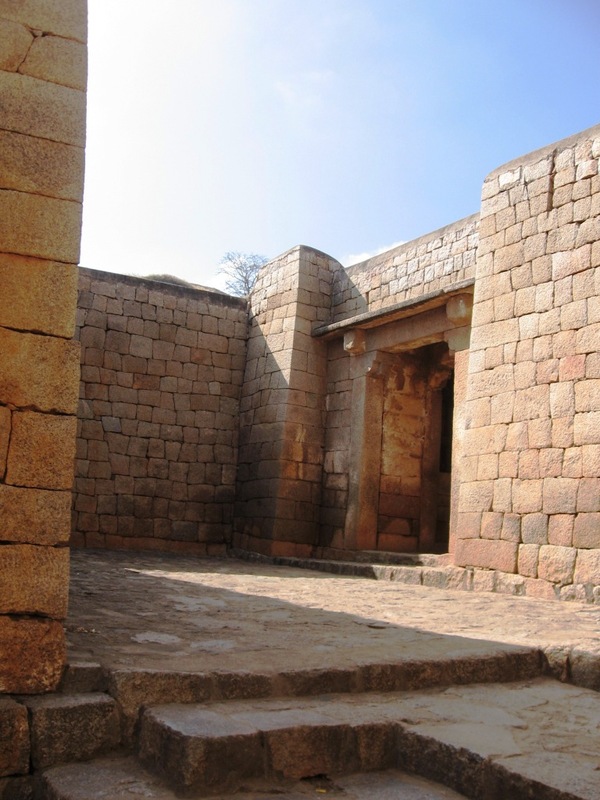 The walls are about 40 to 50 ft high built with stones of Trapezoid shape. Each wall is a maze and none of the entrance are straight forward. So attacking this fort was not easy and straight forward. Once you pass five mammoth gates. You will reach the inner most fort. The inner fort resembles a bowl with a cup shaped valley. Well protected by natural rocks and hidden walls. 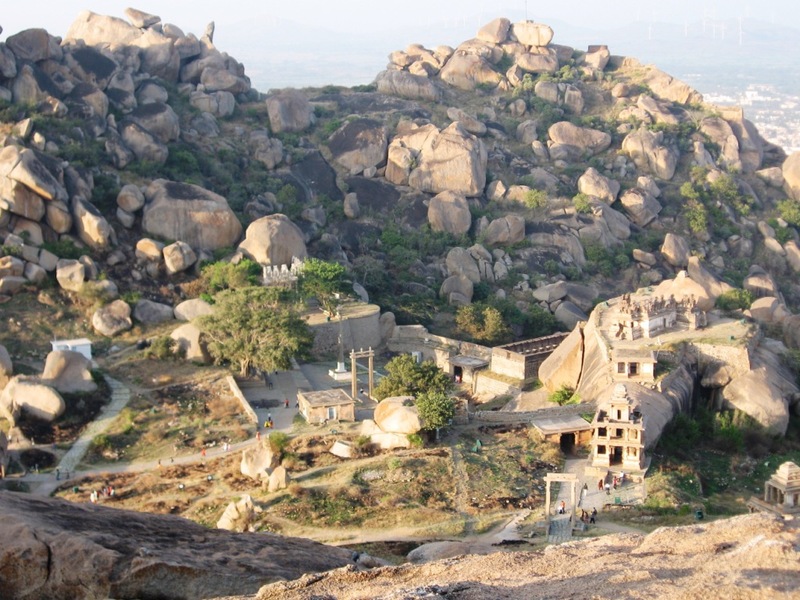 There are so many rocks and trekking trails which you can use to explore the fort. One of the climb is called tuppada koda. You can climb it to get the complete view of the fort. As seen from tuppada koda ( probably highest point inside the temple.) You can see the entire fort city. You can see temple, path ways, entrances, pillars, 3 wind towers ( Gaali Gopura) etc. As you can see. The fort walls are almost invisible. The fort walls are built only in those areas where there is not natural protection and its a maze. 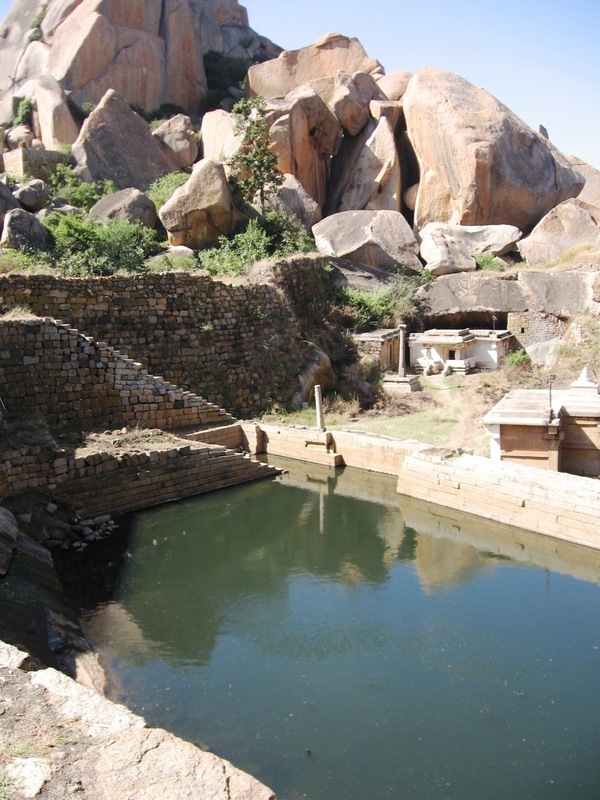 Inside the fort there are temples, wind towers (Gaali Gopura), tanks etc. Some of them are still in Good shape. Venugopala Temple. There will be special pooja on every sunday. Behind the temple you can see fort wall. This is one of the Akka Tangi Tanks (Sister Tanks). It is suppose to have water through out the year. 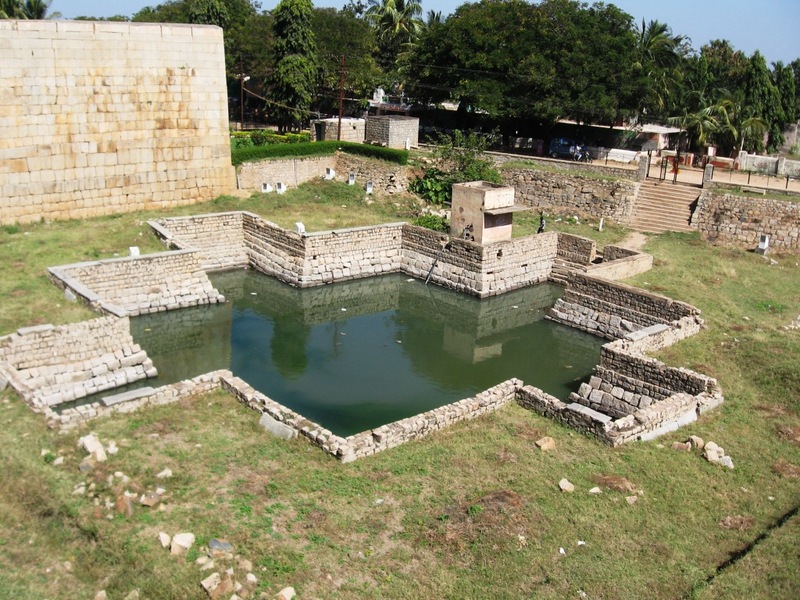 This Kalyani is just out side the main fort wall. I am not really sure for what purpose this was used. Some say it was for elephants. 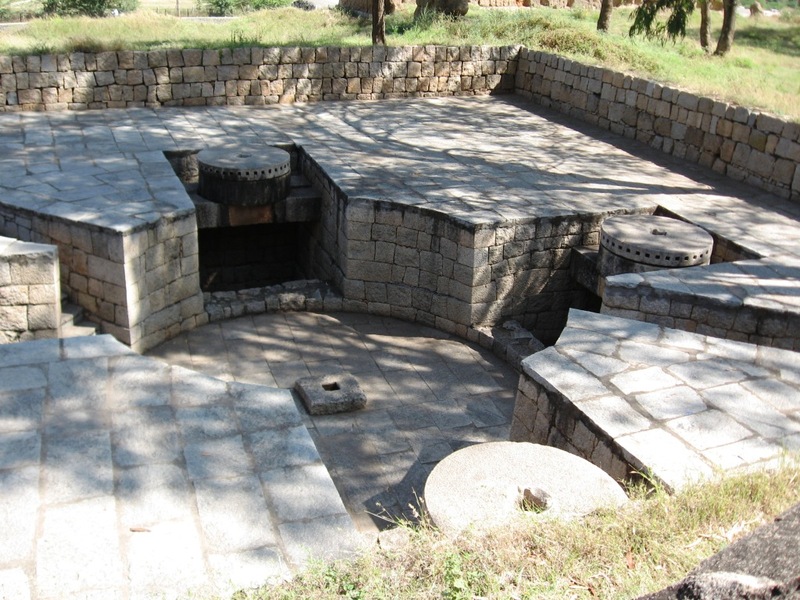 This is the place where they used to grind gunpowder or other propellants for cannons. Elephants where used for grinding purpose. 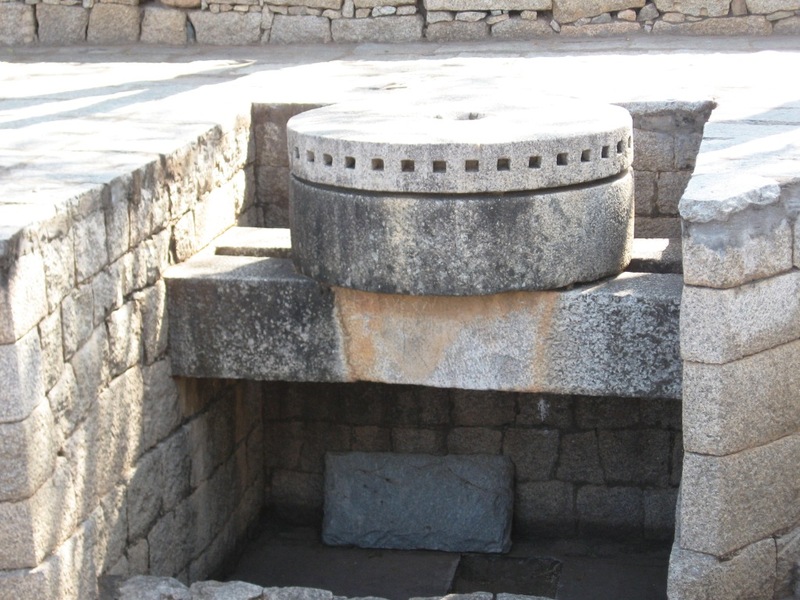 There are four such grinding rings in this structure. 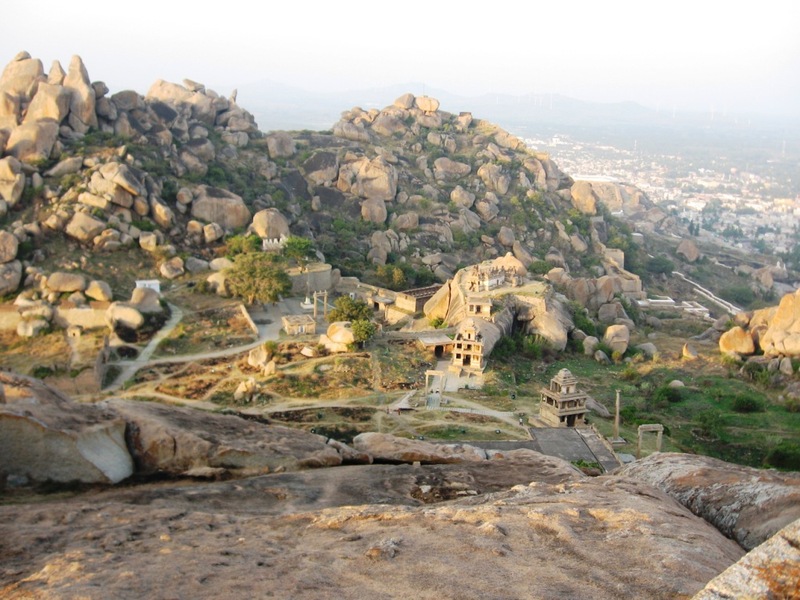 According to legends Hyder Ali had planned to attack Chitradurga Fort. The guard of the south had left for lunch. 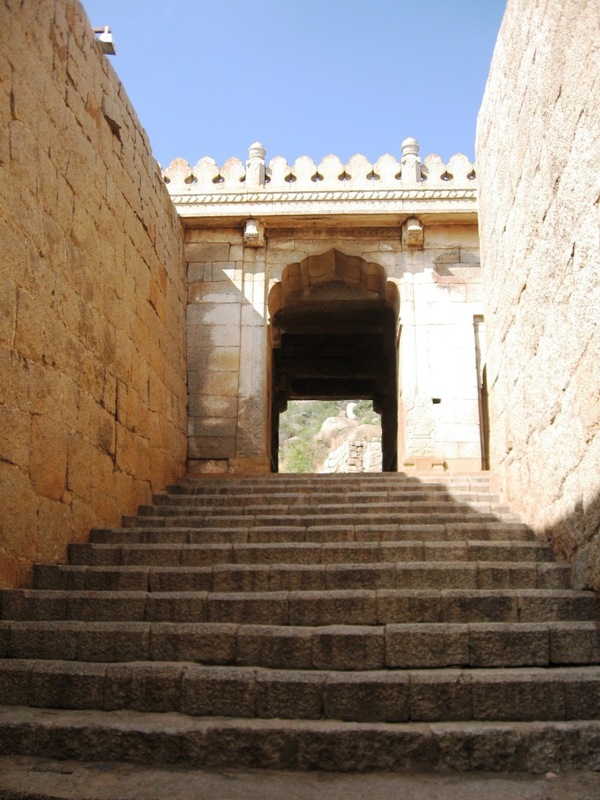 His wife Obavva came to fetch some water and she saw some Hyder Ali’s soldiers entering the fort through the hole. Since she didn’t want to disturb her husband, she got herself a onake (a long wooden club meant for pounding paddy grains) and killed Hyder Ali’s soldiers one by one as they attempted to enter the fort through the opening and quietly moved the dead. Her husband returned to see hundreds of soldiers lying dead alarmed the army immediately. 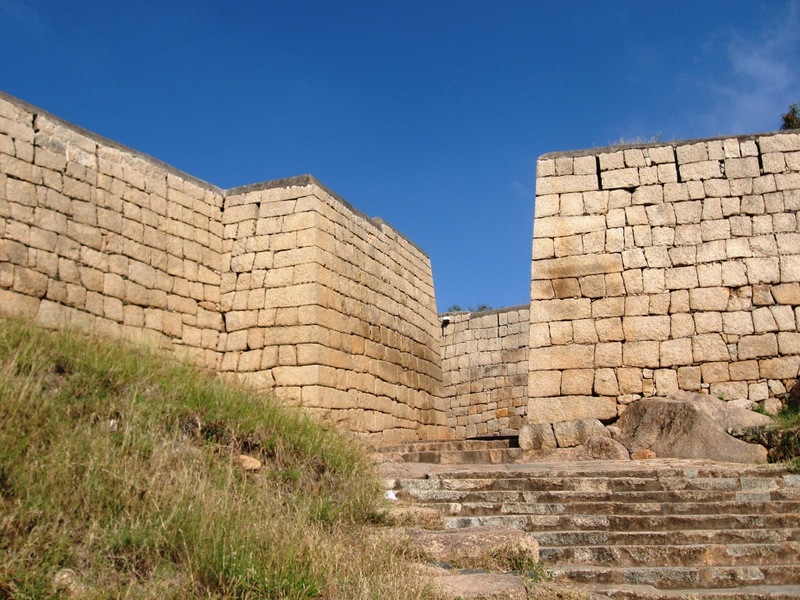 The opening in the rocks still remains as a historical witness for the story of Onake Obavva. Obavva, like Kittur Rani Chennamma/ Jansi ki Rani Laxmi bai remains a legend, especially to the woman of Karnataka. Kannada film Naagarahaavu(1972)directed by Sri Puttanna Kanagal has a song based on this incident. The song where Jayanthi plays the role of Onake Obavva is all time hit. In 1972 guest roles (cameos) where not given that importance. Its said when Puttanna approached Jayanthi for the role, she didnt accept it. She thought it was small and insignificant for her. But then Puttanna promised her that the role (3minute) is legendary and any Kannada movie buff will remember it for ever. It turned out to be true. Every Kannadiga remembers Jayanthi for that role. Previous story Ask Thej: How do you manage your time ? Very enlightening history lesson.. the pictures with clear blue sky in the background are very good. Hi.. Did you get to visit Chandravalli? Its quite close to the fort.. 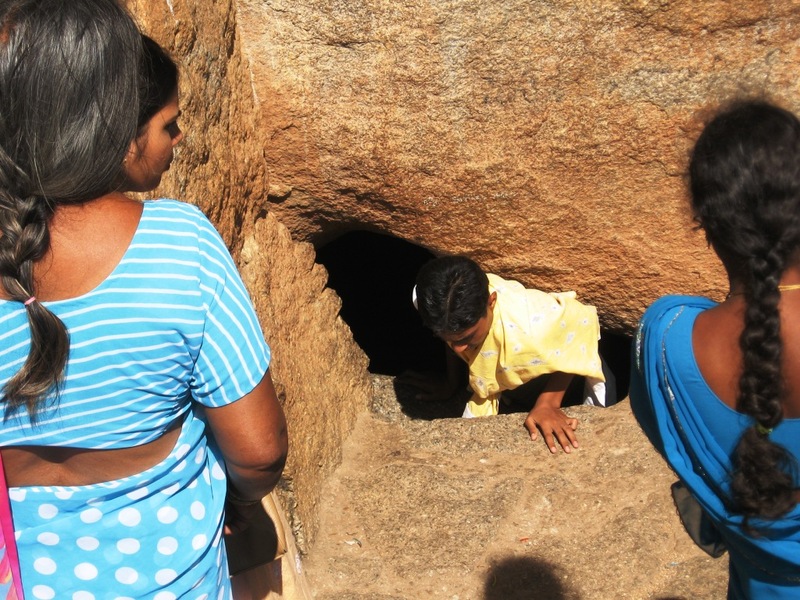 There are some caves traced back to Mayuravarma’s era.. The guide takes tourists through those caves with a couple of candles as the source of light.. Its an amazing place.. I have been there two times.. a very nice fort it is. 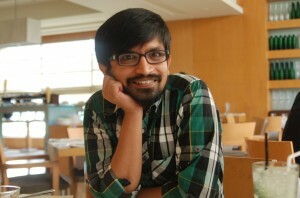 @Harsha : Me too went there twice Harsha. Very nice place! If I get a chance, I’ll definitely visit there. Nice post Thej.. and great pics too.. I always have wanted to have a bike ride till chitradurga.. lemme know how the road condition is. Regarding the Nagarahavu incident that u have mentioned abt Jayanthi, What actually has happened is Puttanna Kanagal had approached someone else earlier than Jayanthi (Manjula or Bharathi or some other actress) and when that heroine did not agree, he approached Jayanthi who agreed and did it for free. Though I am not sure which one is true!! !